Please note this event has passed. 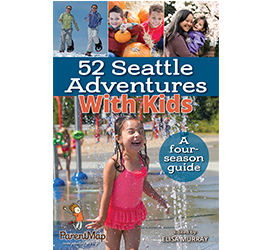 To learn about other ParentMap events, click here. Join ParentMap and nationally recognized author and speaker Dr. Laura Kastner for an engaging lecture and Q&A with honest talk and real solutions. 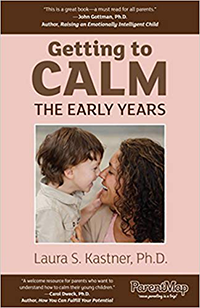 Get expert tips that are actually doable IRL from Dr. Kastner's best-selling book "Getting to Calm: The Early Years" (for parents of children ages 3–7 years old). You'll be inspired to keep calm and parent on, focusing on the things that matter most (no matter how spirited your child). Following the lecture, Dr. Kastner will lead an interactive Q&A with the audience to answer your hot-button questions. Plus, stick around after the presentation to meet Dr. Kastner. Reserve your spot now and save! All lecture attendees will be eligible to win a special prize from our partner! The art box supplies everything you need to explore color mixing and watercolor paints with your child. Think of it as an art class in a box, only even more fun! The box contains the charming book, Mouse Paint by Ellen Stoll Walsh, three brushes, vivid liquid watercolors, watercolor paper, tape, a water cup and paint palette, as well as shaving cream for a fun, interactive color mixing activity! Supplies in the box will accommodate up to two children and an adult, ideal for ages 4-10. The winner will be selected from all event attendees and notified via email after the event. 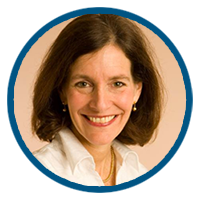 In addition to her academic articles in the fields of child, adolescent and pediatric psychology, Dr. Kastner has authored and co-authored five books: "The Seven Year Stretch: How Families Work Together to Grow Through Adolescence," Houghton-Mifflin, 1997; "The Launching Years: Strategies for Parents From Senior Year to College Life," Three Rivers Press, 2003; "Getting to Calm: Cool-Headed Strategies for Parenting Tweens + Teens," ParentMap, 2009; "Wise-Minded Parenting: 7 Essentials for Raising Successful Tweens + Teens," ParentMap, 2013; and “Getting to Calm, The Early Years: Cool-Headed Strategies for Raising Happy, Caring and Independent Three- to Seven-Year-Olds,” ParentMap, 2015. Dr. Kastner is frequently interviewed in the media and presents lectures to the public on a wide range of family and child development topics in settings across the United States. She and her husband of 30 years have two grown children.